Kwanzaa is a new holiday, based on African harvest festivals. It was created in 1966 by Dr. Maulana Karenga. Kwanzaa quickly became an important African-American celebration and is now even observed around the world. Kwanzaa has seven symbols and seven principles and is celebrated for seven nights, from December 26 to January 1. Each night, a new candle is lit in the kinara, a seven-branched candleholder, and the family talks about the principle for that day. Kwanzaa is a time for rejoicing with family and friends, for remembering the achievements of ancestors, and for dedicating efforts towards the good of the community and race. 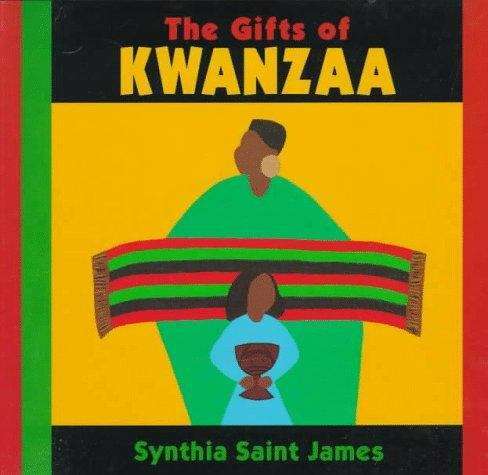 Synthia Saint James's simple text explains the holiday to young children; her bright, boldly patterned paintings evoke this rich and vibrant celebration.